Marketing ideas and your types of marketing materials generate brand awareness. From folders to advertising products on tables, even tablecloths all draw attention and make a statement at conferences or events. Company and custom marketing materials advertise products at events. Appearance is the name of the game in marketing. 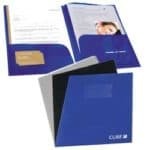 Even a reminder like a piece of card is an example of promotional marketing materials. Event organizers and event coordinators will be keen to use different types of custom marketing materials for promotional events.